security apps Archives | Androidability | Android tips, tricks, and technology for better ability. You can download the McAfee Antivirus & Security app for Android from the Google Play Store and you will have your Android phone or tablet protected with an award winning antivirus, security and privacy software from Intel Security Group. 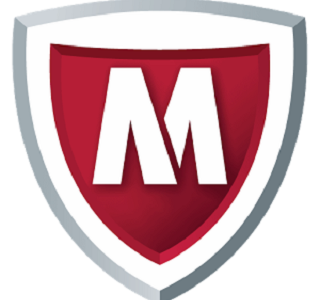 If you upgrade to MMS Premium you avail the McAfee’s award-winning device support, media backup including a promotion-free app context. While 82 percent of others apps track users’ personal information, and round 80 percent gather location details, McAfee Security app grant privacy features like as multi-user, app lock, app profiles, call blocker, app protection and SMS filter. Part of the anti-theft characteristics offered by the app incorporate CaptureCam, which can silently click image of the one holding a user’s misplaced device together with emails the image to the user along with the location of the device; device lock that limits misuse of the device by remotely securing it; S.O.S that automatically keeps the ultimate location of the device before it goes out of battery; backup and recover data that can save messages and contacts, on demand, or on a schedule; remotely clean data which cleans the private data, by the default settings; find and track can better find a device if it is misplaced or stolen; uninstall security which guard the McAfee Security app against being removed. Kaspersky Internet Security for Android delivers mobile security technology including anti-theft protection and Android antivirus optimized to protect from viruses, spyware and Trojans without impacting the performance of your device. Free apps in the iTunes and Google Play stores are overwhelmingly riskier to your privacy and security than paid apps, according to new research. Which suggests the old adage is still true: When you don’t pay for a product, chances are you are the product. Of the top 200 free iOS and Android apps, 95 percent “exhibited at least one risky behavior.” Risky behaviors, as defined by Appthority, include location tracking; accessing the user’s address book; use of SSO, or single sign-on (such as using your Facebook credentials to log into a non-Facebook app); UDID, or the practice of identifying the user; in-app purchasing; and sharing information with ad networks and analytics companies. By comparison, 80 percent of the top 200 paid iOS and Android apps exhibited one or more risky behaviors. While that’s better than the free apps, 80 percent is still a high percentage. Among free apps, location tracking was the most prevalent risky behavior, with 70 percent of free apps tracking the user’s whereabouts. Only 44 percent of paid apps used location tracking. Free apps are more likely than paid apps to use single sign-on, share data with ad networks and analytics, and perform other potentially risky behaviors. In general, iOS apps “exhibited a greater percentage of risky behaviors” than did Android apps. 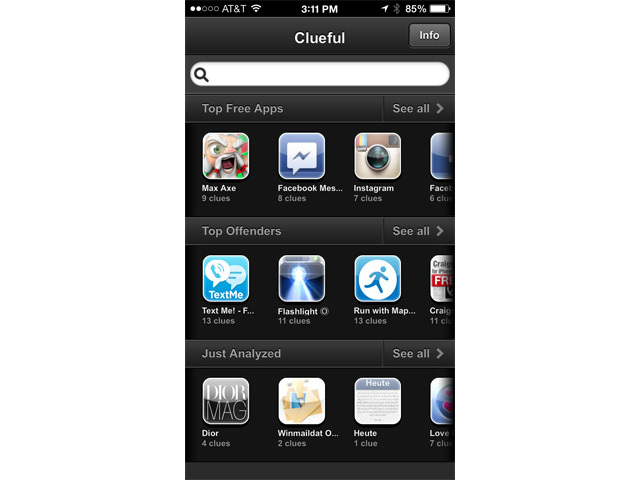 Statistically, 91 percent of iOS apps showed at least one risky behavior compared to 83 percent of Android apps. However, Android apps access user identity (71 percent of the top 200) more than iOS apps. Even though Apple prohibits iOS developers from accessing UDIDs, 26 percent of the top iOS apps manage to do it anyhow. That’s an increase of 20 percentage points from Appthority’s summer 2013 report. Securing your network is the first and foremost thing that you should do to protect your Android device. Avoid using public Wi-Fi connection whenever you wish to access internet or do online banking. As long as you are sharing the network with the public, hackers can easily sniff out your packets and trace your password. Protect your information by using apps like Hideninja VPN so that it’s not easy to sabotage your information. If you feel that your device is being hacked, Wi-Fi protector can ward off these hackers. 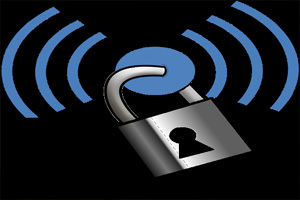 SecDroid can also help you out to enhance your network security. Always remember to turn off your Wi-Fi and Bluetooth when they are not in use. If your Android device contain any personal data that you wish no one should access, then it is sensible to use a lock app on it. Lots of apps are available on play store which offers extra protection to your personal data. Cerberus and Avast Mobile Security are best among them. These apps ask your password or PIN number which you need to be entered to access the protected information. If your Android device is stolen or lost, no one will have an access to your protected data. Phones are more than just communication devices. To some, they are a safe haven for personal moments and memories, and one does what one can to protect them from unwanted eyes. There are solutions to secure certain features within the phone such as AppLock or to restrict connectivity throughInternet Lock, the list goes on. New to this list is TimePIN, a free device security app that employs PIN lock in a unique manner. Like most good ideas, TimePIN stems from simplicity. It uses the native Android PIN lock feature with a twist at the backend to ensure your device’s security, all without root access. Your PIN becomes the current displayed time. So, if you unlock your device at 8:45, your PIN becomes 0845, or if you’re using the 24 hour clock format, 20:45 will become 2045. So you needn’t actually remember the PIN as it will be written right there, while anyone attempting to get in won’t know where to start. Also, if you ever have to tell your friends the current PIN, you won’t have to change it yourself later. When you launch the app for the first time, it will ask you for admin rights and then for a default PIN. The latter will serve as a fail-safe in case you yourself aren’t able to unlock the device, and to protect the app itself from being access or uninstalled by someone else. Whenever you restart your device, you’ll be asked for your default PIN. Once that is done, TimePIN kicks in. Now Android has added a very similar feature called the Android Device Manager for GPS-equipped smartphones andtablets. It allows you to locate your lost device and also change passwords, lock screen PINs, and even remotely wipe your missing unit. Here’s how to set up your phone or tablet to use the service, so the next time your Nexus 7 falls behind the sofa you’ll be able to track it down. First need to head over towww.google.com/android/devicemanager where you’ll be prompted to accept Google’s request for location data. As this is a tracking service it’s necessary to do this for the feature to work properly. If you already have a Nexus device with location services turned on then it should automatically appear on your list. Here you’ll see the current position of your handset, along with the last time it was used. To switch between devices click on the name and a drop down menu will appear. Select another model and you’ll be taken to the map screen for that one instead. You can also rename each device by clicking on the pencil icon. Security is a central topic for many users. For those who need more than a simple password on their lockscreen, you can go a step further and place a lock on each individual apps. It’s very simple. Here’s how. To protect individual apps or functions on your smartphone against unauthorized access, it doesn’t require any special knowledge or skill. In the Play Store there are many apps that accomplish this task. One example is AppLock.After downloading the two megabyte app and installing it, AppLock has you set up a password. This is then used to open the app itself and is made available for various areas of your smartphone. The setup literally took one minute. In the main menu, you will find a list of all the apps on your device and you can then choose which ones are then password protected. For example, I secured my e-mail apps and the picture gallery. 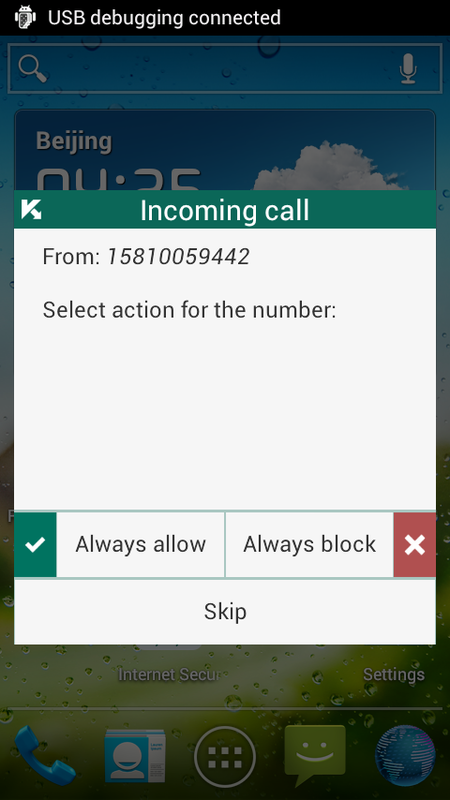 Specific phone features can also be locked, like accepting phone calls. In addition, you can select either numeric passwords or unlock patterns. Finally, there are tons of customization options (which in this case are mainly reserved for the paid premium version). Malicious software might not be as huge of a problem as some reports would like you to believe, but that doesn’t mean that we shouldn’t take the time to protect our smartphones from potential attacks. Fortunately, Zimperium, a new mobile security startup, seems to be taking mobile security seriously and is showing other developers the way forward. Its new Android app, named zIPS or Zimperium intrusion prevention system, aims to keep Android devices secure by learning how they typically operate and identifying when something strange is happening. This kind of technique has been used to spot malware on PCs for quite a while, but implementing a similar system on Android is more difficult, as we’re constantly connecting to new networks and regularly installing and updating our software. The bad news is that Zimperium is currently only offering its software to business clients, although the company expects to roll out a consumer version at some point in the future. But for interest’s sake, let’s see how this technology works. As already mentioned, the app installed on the device scans, in real-time, for threats by monitoring any changes to your handset’s behaviour. If, for example, a malicious app attempts to self-modify, or a device on your wireless network attempts to intercept your data, zIPS will notice this departure from normal operations and notify the user. Common Android security, on the other hand, relies much more heavily on simply checking incoming file signatures that can be compared with known bad code, and therefore struggles to respond to some of the more advanced threats.